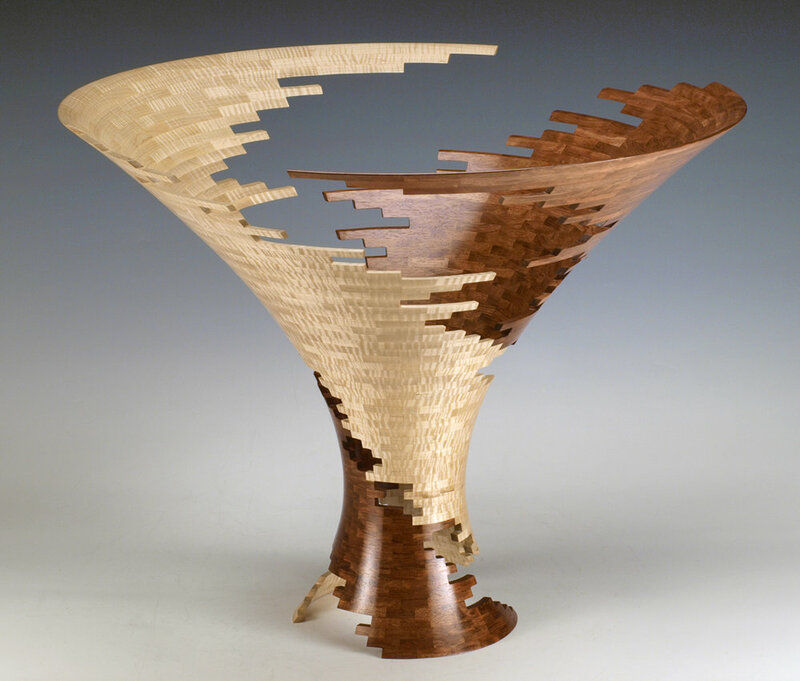 Over the course of his 40+ year career, Bud Latven has influenced countless artists and craftspeople with his approach to wood turning. He is an innovator, and the complexity of his constructed forms might lead one to think of him foremost as a talented technician. Yet it is the ideas behind the pieces and the constant experimentation leading to their creation that truly sets him apart. 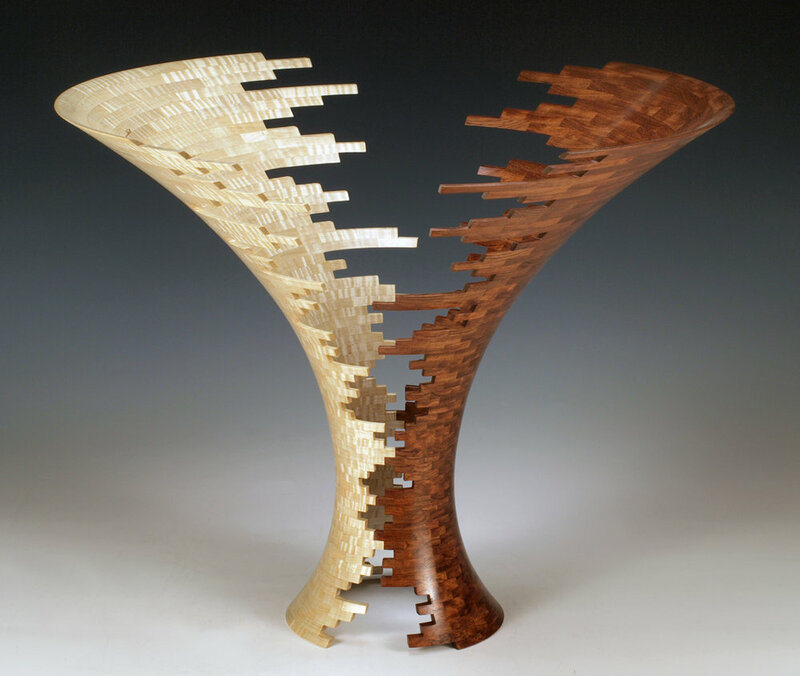 Latven’s life with wood began when he moved to New Mexico in 1972 and took a job at a wood shop in Albuquerque making cabinets and furniture. Soon after, he began making his own furniture and within two years he had a fully equipped studio. 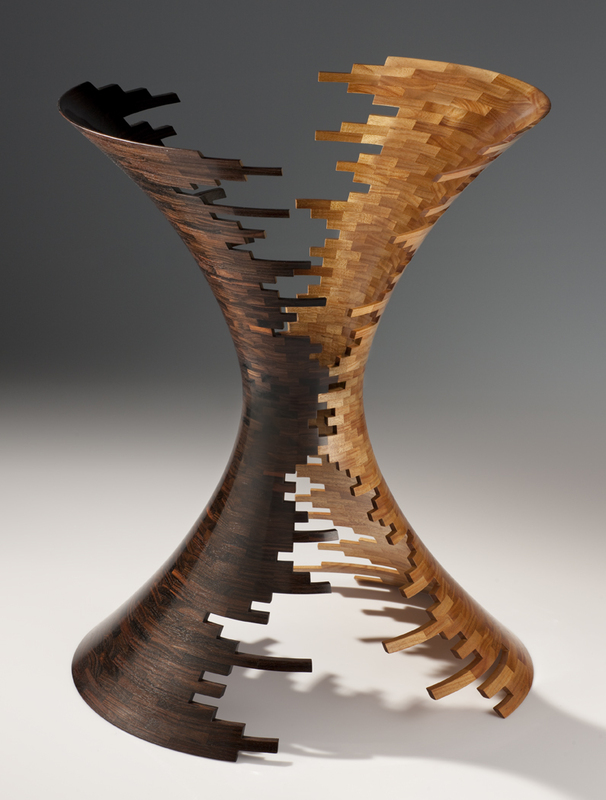 For the next few decades, his practice evolved from selling his furniture to galleries and craft shows across the Southwest, later transitioning to lathe artist, and ultimately developing a constantly evolving language and practice for sculpting in wood. In 1985, he landed a cover story in Fine Woodworking magazine, which helped take his career to a national level, and could be credited with increasing his exhibition imprint in major galleries around the United States. Latven’s work is represented in many private and public collections, some of which include the Los Angeles County Museum of Art and the Renwick Collection of the National Museum of American Art at the Smithsonian Institution.